Tibetan Monks protest against Chinese rule in Lhasa. 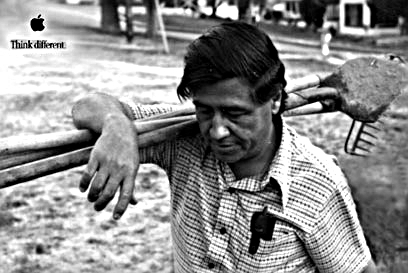 which appears to lean towards Biographies, a commercial came on about a new petition for César Chávez. to be written about on my new Global Culture Blog. to achieve his monumental goals for the poor farm workers suffering in silence. they are now joined by millions who have now come to understand why Chavez is so deserving of this Honor. How Many Monks Will Have to Die Before the World Gets Involved in Tibet? The number of Tibetan monks who have died has now reached the sickening number of 25. The tragic situation there seems out of control and unstoppable. declaring them to be the murderers, bullies and tyrants we all know them to be. The Unites Nations should step in and be joined by every democratic nation in the world. The people of Tibet have suffered with no help from the outside world for over 50 years now. there is no oil in Tibet and we want/need China to keep writing us checks. The chance of any of this happening is extremely small, because no one wants to offend China. of a people and a culture that they never can, nor ever will, truly understand or appreciate. for their country and their holy leader to be returned to the way it used to be. for the freedom of her people. for supposedly contributing to the suicide of a fellow monk in March. as their tongues have been excised by the strong arm of China. will of the Chinese Government and live in fear for their lives. tell them that they are bullies and then they must refuse to do business with them. only their own people, but so many others as well. the suicide death of a 16 year old monk in March. people continue to be cut off from the rest of the world. chose to end his life, by setting himself on fire. is only the latest in a series of similar monk deaths. who might try to interfere or cause trouble. ugly hand of terrorism has reached. the world can only guess the cause of this lunacy by a madman. and hope that it will be resolved quickly. Our hearts are with you in Norway and we grieve with you. they have taken to the streets and are driving. A privilege already enjoyed by women all over the world. God Bless and know that women everywhere are cheering for you. The World is united today in prayers for the people of Japan. Our hearts are heavy and you are on all of our minds. the stakes are getting higher and more lives are being lost. The prayers of the world are with all of those seeking Democracy and Freedom. Whichever deity that you pray to, know this, we are all one in this cause. the Arab World, including Algeria, Libya, Bahrain and Yemen. these other Countries want their turn now! The whole world is carefully watching Egypt in their quest for Democracy. Their success gives many other Countries the hope that they too can have Freedom. others who seek Democracy and Freedom can now follow. Gandhi would be pleased with this demonstration of non violent protest. If you have a spare cell phone, it could save a live! Josh Nesbit has just the place for your old, unwanted cell phones in Africa. and the Chinese do as well. aside in the rush to bury the victims quickly. The situation in Tibet continues to worsen each day as more dead are found. As of today the death count in the April 14th quake has surpassed 600.
school children buried in the rubble of the deadly Earthquake. primarily a result of poorly built buildings. by the quake or left the area altogether. The world is now being barraged with minute by minute reports of the devastation in Haiti. situation, which is nearly biblical in the amount of death and destruction to the small country. people of Haiti, but where is the help from the rest of the world? to other Countries for amounts of money we cannot not even imagine. “hey, how about some help here”. with everything we can send or bring to those who are suffering. Can we ask others to share the burden with America? Or are we afraid to offend? The Dali Lama says “China makes life Hell for Tibetans”. away from the goodness that is celebrated at this time of the year. not more hate, but with kindness, peace and love. who could step up and show the way. greed and gluttony, has now become a Global economic Event. public pressure as those are here to respond to the current situation. can work together to find a solution to these economic problems. in spite of the dire reasons that may have caused it. the conversation around to Global peace and understanding. waits to see who they will be dealing with next. sure who or what to believe anymore. country have one primary agenda, power. Our country is in desperate need of a real leader. need to be replaced with solid deeds. crisis not seen since the great depression. and now for many, their life savings. we just want someone to make it stop! not who or what they believe will best serve their own needs. view of what is going on in the most populous nation on Earth. and the world saw little to complain about in the human rights arena. Government quickly denounced and showed proof of this being untrue. the people still do not have the freedom to speak. by the tyrants who control their fate. with much less press and attention. homelands will ever be returned to them by the Chinese Government. and have virtually no chance of reclaiming their ancestral homes. but China knows that none is really a threat in this Global game. to consider attending the summer Olympics in China. of the masses for those who have no voices. the Chinese and set an moral example for the world. our pets and our society in general. of the rest of the world, but her own people as well.